T.S. Elliot left the United States when he was twenty-two. He began living in London when he was twenty-five and lived there the rest of his life. He was naturalised as a British subject and renounced his American citizenship. His friends in the Bloomsbury group (Virginia Woolf, Katherine Mansfield, and others) would frequently tease him regarding his decidedly British affectations. He used a cane, he spoke in a bizarre amalgamation of British and Missourian accents, his artistic focus was almost exclusively European. These pretensions seem a bit laughable but they reveal a very common need to reinvent–a need that is only ever possible away from home. Despite, his self-created persona, T.S. Elliot is regarded as one of the great poets of the 20th century and one of a great number of writers who emigrated from the United States to live in voluntary exile. How much of our identity is under our control? Can we choose who we will be if we are able to sunder ourselves from the constraints of expectation? 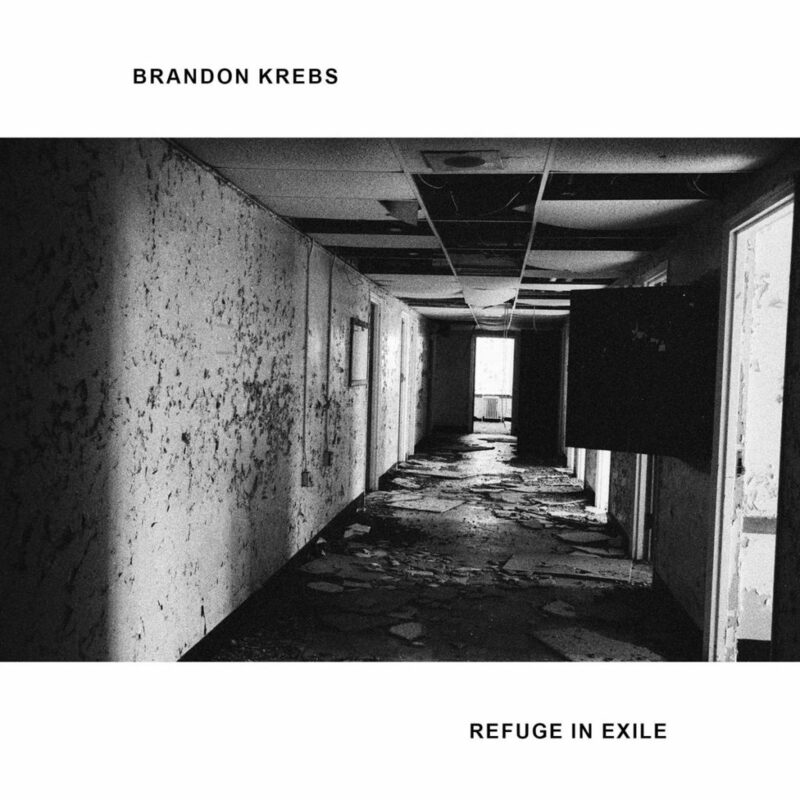 Brandon Krebs’ latest album Refuge in Exile explores these questions. The lead track “Blurred Outer Edges” concerns identity. With his vocals jaded in a manner somewhat reminiscent of Julian Casablancas from The Strokes, Krebs notes “all of these characters that I play/ forget their lines and then slip away.” The edges of our being–that which sum up our external, observable identity” are not necessarily set. Especially in an itinerant life, the identity others are exposed to is variable. 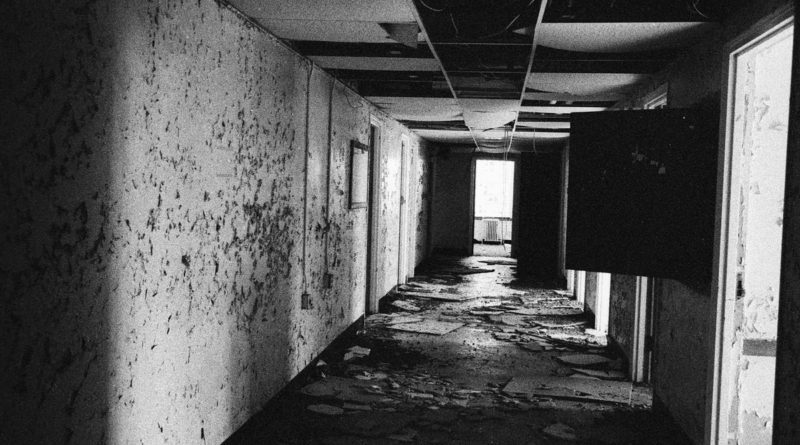 This blurring, then begins to eat away at our facades until the dissolution begins to reach the core of who we are. Ironically, our expeditions to go “find ourselves” can often result in more confusion. On one of the album highlights, “Alarm Pheromones,” Krebs embodies numerous voices discussing the anxiety of technological proliferation in what is, more and more, becoming a surveillance state. He is “the blip on your screen/ the profile you try to delete, the black tape on your camera” and simultaneously the “house arrest you can’t escape.” Our social lives are all ready to be downloaded on a flash drive and thrown in an evidence locker. The final refrain “if you see something, say something” speaks to the world we live in; we are our own informers. The longings of the human condition demand both security and privacy; Krebs opines that we can’t have both. With the bombast of a spare 80’s back beat holding up synth laced melodies, Krebs unmasks the electric dystopia we are already living in. The track “T.S. Elliot” (co-written with Aaron Wilson) closes the album once again exploring notions of identity; what it means to be the true version of yourself within changing environments over time. He opens with the lines “We’ve become different people than we thought we would be/ But we can still live anonymous lives in dreams.” In relationships, time is often a slow poison, seemingly mutating the object of love into something you don’t recognize. Despite the drastic changes wrought in one’s personhood over the course of a life, the speaker seems to have found a love that haunts him the world over. Love that lasts isn’t falling in love with someone as they are but falling in love with the way they change. There is no true refuge to be found in nomadism because the no one can escape themselves regardless of how much effort they put into reinvention. Ultimately, Refuge in Exile lets go of control. Recorded and mixed by Don Farwell at Earwig Studios and Birdhouse Studios and mastered at Black Belt, Krebs deliberately omitted guitar from his album, opting instead for grand synth driven melodies and orchestration. Despite this, the album’s power lies in that it still evokes the intimacy of a tired soul sitting on a lonesome stool with an acoustic at a coffee shop open mic.